I have an Telo which works great, but I have not been able to send the dial tone to other phone jacks in my house. I have structured wiring and I am not sure how to change the configuration, if necessary. I've disconnected a red and green wire in my NID, but did not see any plug in the NID. Has anyone run across a similar setup? Removing the red and green (and of course insulating them with a good grade of plastic tape) is a good first step. 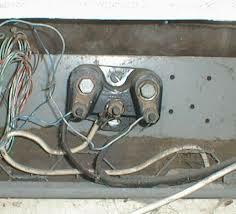 You should then be able to plug the PHONE jack into any wall jack in your house to send dialtone to the other jacks. Of course, since you have disconnected the wires at the interface, I am assuming that you do not have DSL - if you did, it would stop working. You also mentioned that you have structured wiring - you can also place your ooma near the structured wiring box and connect up that same PHONE jack to the telephone input on the panel. In most cases, just using a wall jack should be fine. If you have an alarm system, you might want to connect up the ooma PHONE jack to the red and green wires we just discussed at your interface - that gives the alarm system the ability to control dialtone in the event of a report.